The use of bluetooth enabled “beacons” in retail environments is one of the growing trends in mobile commerce. Many people in the retail sector have recently become aware of – and worried about – the trend known as “Show-rooming“. This is when a consumer comes to a retail location to look at and try a product before later purchasing the same product online. 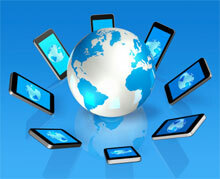 Now a new trend has been identified – “Web-rooming”. This is the exact opposite of show-rooming, and in fact appears to be more popular. This infographic explains the phenomenon, and suggests the best ways for retailers to take advantage of this situation. Every year the reach of mobile expands and impacts our lives in more ways. The spread of mobile devices is changing not only consumer lifestyles, but also business strategy. Finding the perfect gift for a child at Christmas time can sometimes be a very difficult task. However, this past year toy company Toys R Us ran an innovative mobile ad campaign which included voice recognition to help mobile shoppers find just the right toys. P&G’s deodorant brand, Secret has had a long running communications drive against teenage bullying. Vente-prive is a global pioneer and leader retailer in “flash-sales”, i.e. selling branded overstock items to their members. Mobile commerce is a natural fit with flash-sales, as there is often a need to react quickly to sales. Recently Vente-privee released figures which showed just how important the mobile channel is in various European countries. A recent study published by BI Intelligence has showed that advertisers are getting fantastic results from Mobile Coupon Campaigns. Augmented reality isn’t a particularly new concept, and quite a few mobile apps incorporate it – often for gaming purposes. 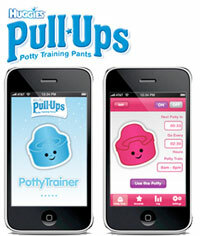 Now however, one company has found a unique use for AR technology: potty training. We are always looking for innovative new mobile marketing campaigns to share on MobiAD News – campaigns that manage to engage consumers in unique ways to build a brand or drive sales. Have some last minute shopping to do and tired of finding the gift you want is sold out in the stores? UK retailer, Argos, has a new, mobile-enabled way to help you save time shopping. Argos created two Interactive stores at Paddington and Waterloo train station that allow consumers to do some last minute Christmas shopping while waiting for their train. 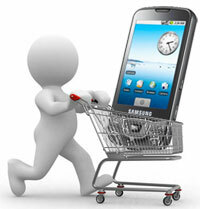 The past several months has seen a huge growth in the area of mobile commerce. More and more people are now using their phone for shopping, whether they are at home, in the store, or simply out and about. 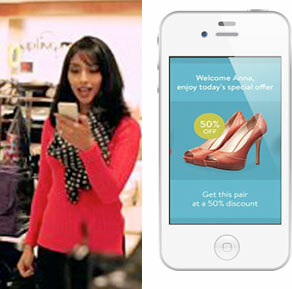 As a result, many retail brands have greatly increased their use of the mobile marketing channel. Having a good understanding of who is the mobile retail consumer, their characteristics and buying patterns is becoming ever more important. Wilkinson sword has integrated a QR code element as part of the launch campaign for its new Hydro Razor 5 in the UK. Getting access to accurate campaign results information is usually very difficult – most brands prefer to guard this information as a competitive edge. However, recently Crown Imports (importer of Corona beer), mobile ad network Greystripe and market research firm ComScore have joined together to announce the results of Corona’s recent “Win a Beach Getaway” campaign which ran across Greystripe’s mobile advertising network. The numbers show the campaign was very effective at increasing in both brand awareness as well as purchase intent. Campaign measurement firm Dynamic Logic has released the results of a new study to explore the impact In-Call Media, the insertion of audio ads directly into the call stream of a targeted consumer. Most Popular Branded App Ever? 5 Million Downloads! Virtual Zippo Lighter, a free, branded application available in Apple’s iTunes App Store has just passed a major milestone, with 5 million downloads since its launch about a year ago. Hungry For A Pizza? Use Your iPhone! You would think ordering a pizza is pretty straightforward. But even this simple task now has a dedicated iPhone application! It has been just a year since Nike launched their PHOTOiD campaign. This campaign allowed consumers to use their mobile phones to choose colors they liked from the world around them, and have these colors incorporated into a customized pair of Nike running shoes. The Coca Cola Company has long been committed to experimenting with new approaches for building engagement with their consumers. Recently, one of Coke’s major soft drink brands, Fanta, teamed up with Ogilvy Advertising to bring out a mobile application for teens using a new technology that (as far as we know) has never before been used for mobile marketing. Gamevil, the LA based mobile games publisher, has announced an extension of their partnership with the Coca-Cola company. A new version of their best selling Baseball Superstars game will include Coke ads throughout the stadium. Greystripe, the ad-funded mobile game distribution company, has released their latest “Consumer Insight” study. The study gives an in-depth demographic view of the iPhone consumers seen on the Greystripe network during the first quarter of 2009 and provides information about consumer behavior preferences for a range of product categories, including fast food restaurants, PC’s, television, and cinema – all categories which are advertised on mobile. This week the annual Festival of Media took place in Valencia, Spain. Several hundred key leaders from the media and advertising industry convened for 2 days of informative presentations and relaxed networking in the Spanish sun. Ad network Greystripe has released very encouraging metrics about the effectiveness of a new ad campaign for Unilever’s AXE products, including a 15% lift in intent to purchase. House of Fraser is a leading clothing store, who wanted to “re-launch” a number of their retail stores around the UK. To do this, they ran a campaign on the youth-oriented Blyk mobile network.